This fanedit adds the infamous Lost Spider Pit sequence back in the movie. To add back the lost Spider Pit sequence. This scene was originally filmed, but because test audience members screamed and either left the theatre or talked about the grisly sequence throughout the subsequent scenes (disrupting the film), director Merian C. Cooper removed the scene. 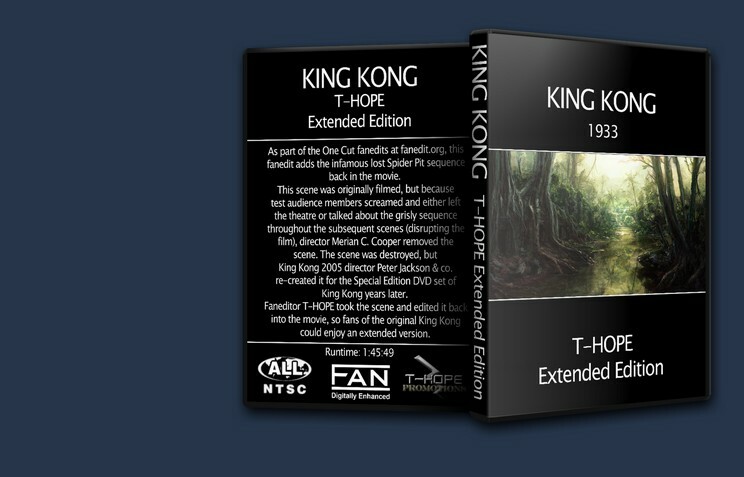 The scene was destroyed, but King Kong 2005 director Peter Jackson & co. re-created it for the Special Edition DVD set of King Kong years later. 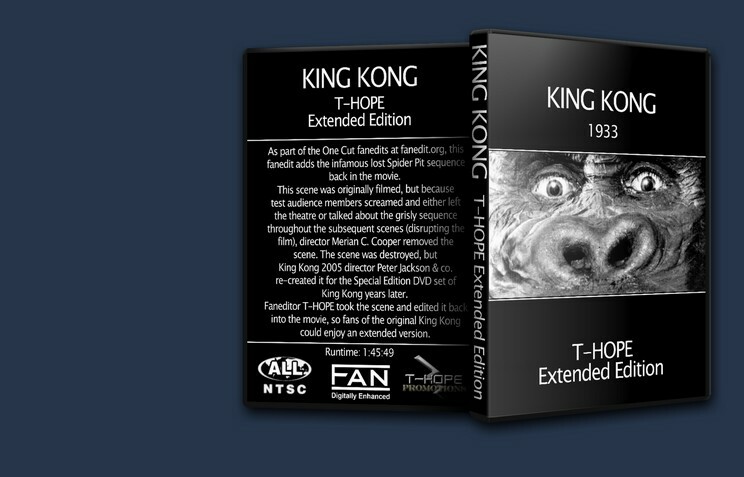 Faneditor T-HOPE took the scene and edited it back into the movie, so fans of the original King Kong could enjoy an extended version. Peter Jackson recreating the Lost Spider Pit scene is -to me- his best contribution to the legacy of King Kong. I didn’t care for his version of the film at all, but hats off to him and his team for bringing a piece of film history back to life. 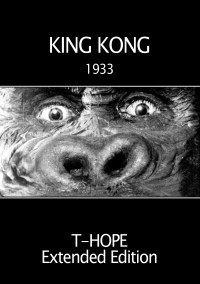 It was a brilliant move for T-Hope to actually put it back in its rightful place within the movie. By doing so, he has preserved a bit of history and allowed a modern audience a fascinating look into the past. It’s a very simple edit, but an important one. This is an entertaining and historic extended edition of a classic movie. I highly recommend it to all. Simple but functional DVD menu. On the minus side: the music is quite loud on the main menu and seems too modern for the movie. Plus side: Includes some interesting photos and information about the Spider Pit scene as well.